Jesus crucified and risen is the picture and the map that guides us in rebuilding and perfecting our human family. We live in a world torn apart by selfishness, self-centeredness, greed and violence. The spirit of Jesus invites us to sit at the foot of the cross with prayerful minds and open hearts to the powerful message of Christ crucified. On Calvary, Jesus stretched out his arms to embrace and bathe every human person, good or bad, rich or poor, friend or enemy, in the powerful love God has for us. God’s love for us makes us all brothers and sisters and members of the worldwide body of Christ. All we have to do is to let ourselves be loved and washed clean by the blood of Jesus. Gazing in awe and thanksgiving at the image of Christ crucified painted on our hearts in baptism and deepened by our participation in the Eucharist, we are empowered to be the miracle of the cross healing and transforming our world today. The cross of Jesus is a grace-filled force that we must put into action in our lives. God’s saints show us the way to put Calvary into action today. More than 60 million people died in World War II — a great tragedy that happened in my lifetime. Seventeen million people died in Nazi death camps. St. Maximilian Kolbe was imprisoned because he was a Christian and an active priest. When the Nazis decided to starve a dozen prisoners to death to teach them a lesson, Kolbe was not one of them. But when a prisoner begged for mercy, Kolbe asked to take his place. Kolbe died so that another man could live. We meditate on the crucified Jesus during Holy Week so that we can live the message of the cross right here, right now. Jesus empowers us to lay down our lives for one another. I recently discovered St. Teresa Benedicta of the Cross (Edith Stein). She discovered the power of the cross in the Catholic Church and asked for baptism and membership in the Church. After years of prayer focused on Christ crucified, Edith Stein became a cloistered Carmelite nun. She spent much of her life contemplating and teaching Christ crucified as the core message of the Gospel. She was arrested and executed in a Nazi concentration camp in 1942 — the year after my birth — because she was a Jew. She had lived as a Catholic witness to the crucified Jesus being the way, the truth and the life for us. Archbishop Oscar Romero tried to protect the poor in San Salvador from murder, injustice and threats. Consequently, he was murdered while celebrating Mass in 1980. Soon, Pope Francis will declare him a saint for not only preaching Christ crucified, but also for dying with Christ for the people he served. Christ crucified immerses us in God’s love and empowers us to walk the way of the cross in our daily lives. 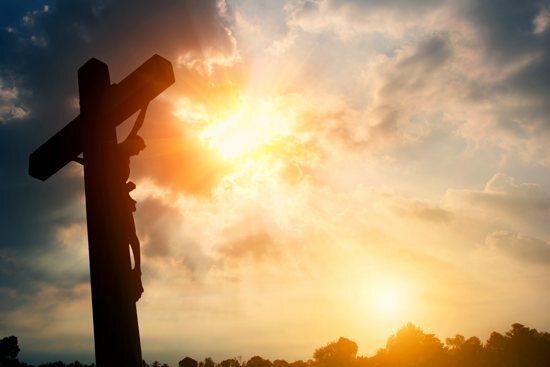 The crucifixion of Jesus is more than a Good Friday event; Jesus crucified and risen is the way, the truth and the life for us and for the whole world. Father Schwartz was ordained for the Archdiocese of St. Paul and Minneapolis in 1967. He has served at St. Peter in North St. Paul, Christ the King in Minneapolis, St. John Neumann in Eagan, Our Lady of Grace in Edina, and St. John Vianney College Seminary and the St. Paul Seminary School of Divinity. He retired in 2016.